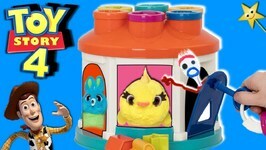 Bunny and Ducky from Toy Story 4 play the Spinning Lock Key Game to win surprise toys!! Who will win and find Goldie's Treasure?? Vote and see if you're a winner!. 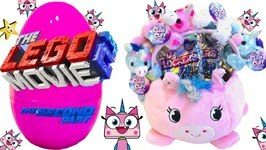 Who's in the GIANT UNIKITTY SURPRISE EGG? Play The Lego Movie 2 game and see if you're a winner and win surprise toys. 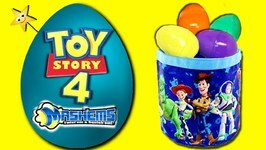 Goldie and Forky open Toy Story 4 Giant Surprise Egg Toy Story Easter Basket. Play the game and guess who's inside the Giant TS4 Egg. 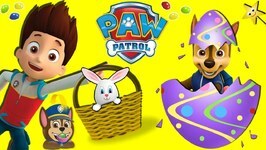 Join the fun as we open Paw Patrol Surprise Eggs out of Marshall's Paw Patrol Easter Basket!! Can you guess how many eggs are inside? Fun video featuring Paw Patrol Toys, ..
Hi Friends, Goldie here! 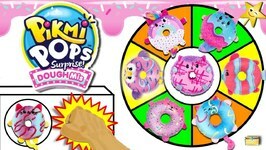 Today I am playing my Spinning Wheel Game with the New Pikmi Pop Doughmis Donut toys from Moose Toys. 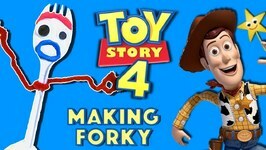 Today we're going to make FORKY the SPORK from TOY STORY 4. This is a great DIY craft for kids to make the newest star from the new Toy Story 4 movie. Today we have a Paw Patrol Candy vending machine game with Radz candy, Paw Patrol Toys and other surprise toys. How many dragon surprise eggs will we find in the GIANT DRAGON EGG? 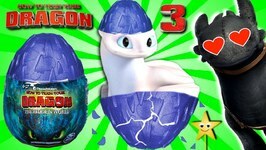 The How to Train Your Dragon Hidden World Eggs are awesome and we have all the cool plush from the .. 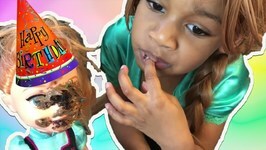 This is a Naiah and Elli doll parody with Elsa and Anna toddlers. 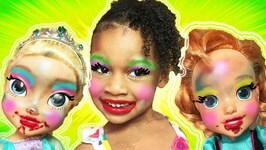 Elsa and Anna Toddlers Dress up and Makeup! It's a birthday surprise for Elsa and Anna! There's also magic in this cute baby doll toys parody! 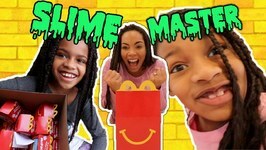 The Slime Master leaves McDonalds Happy Meals at our door in a Mystery box. Will Slime School get deleted? 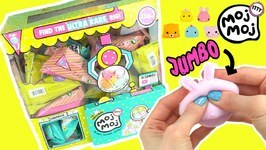 Slime School pretend teacher Miss CrayCray and silly students ..
Today we are opening a full box of the Moj Moj Itty series. There are 150 to collect and each jelly squishy comes in a mini form. Today we are unboxing a surprise package from YULU!! We received Pop Pops Snotz from them. 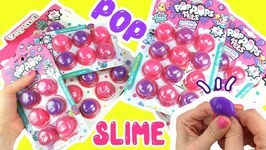 Pop Pops Snotz are collectible pets that come in bubbles filled with slime.You ..
Today we are unboxing a surprise package from YULU!! We received Pop Pops Pets from them. Pop Pops Pets are collectible pets that come in bubbles filled with slime.You ..
Today we are opening a full toy box of Hairdooz dolls! We received this surprise toy package from Headstart Toys. Today we are opening a full box of the Num Noms Snackables slime kits. 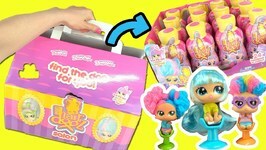 Each slime kit has a different slime inside with tons of surprises. 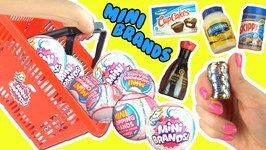 Today we are opening an entire box full of the "Worlds Smallest" and "Coolest" toys sent to us by Super Impulse! These are mini collectibles that come in tiny sizes. Today we are taking all of our LOL Surprise Pets sand and mixing them together into one bowl to see what color it will turn into. 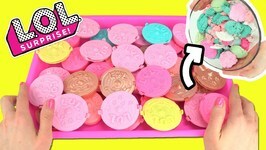 Today we are opening and comparing Poopsie Slime Surprise series 1 vs series 2 (drop 1 vs drop 2)! 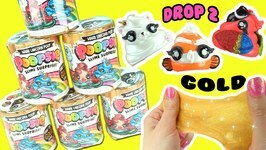 Poopsie Drop 2 has 18 unicorn Poopsies to collect and they each have ..
Today we are opening lots of the Poopsie Slime Surprise Drop 2 (series 2)! 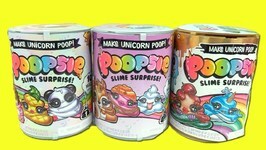 Poopsie Drop 2 has 18 unicorn Poopsies to collect and they each have their unique colors and smells. 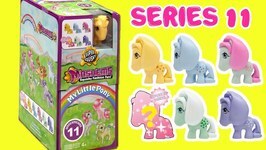 Today we are opening a full box of the My Little Pony Mashems Fashems series 11. There are 6 to collect including: Cotton Candy, Rosedust, BlueBelle, Minty, and other ..
Today we are opening lots of Ugly Dolls blind bags we received from Hasbro. 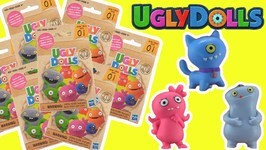 Each blind bag includes a Ugly Dolls characters, envelope, and a sticker inside. Today we are opening Zuru's 5 Surprise Mini Brands full box! In this series there are 70 brands to collect. We found the gold ultra rare brand. Zuru 5 Surprise MINI BRANDS Full Box Opening!! GOLD FOUND!! Today we are unboxing a surprise package we received from Hasbro. 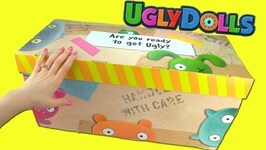 Since the "Ugly Dolls" movie is coming out May 3, 2019 they sent us a special box filled with lots of ..